As a Utah resident, your out-of-state income is taxable. 1. Is California Pension Income Taxable Outside California? As in most other states, residents of Utah must file annual state income tax returns and pay taxes on the money they earn. If you live in Utah but work somewhere else, you may still have to pay tax on that income. It all depends on your status as a Utah resident. If you are a resident of the state of Utah but work primarily in Texas, you will have to pay Utah income tax, but depending on your residency status, you may be able to avoid this. 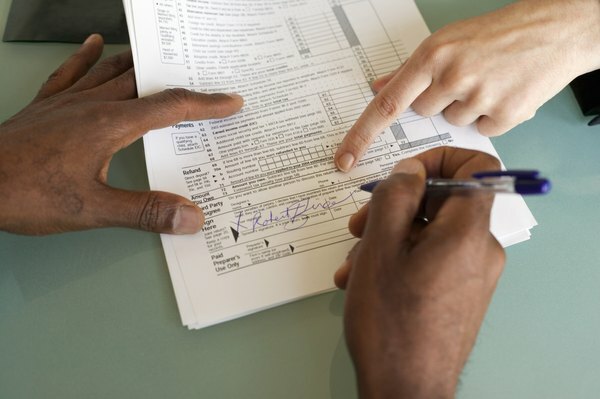 The rule for filing tax returns and paying state income tax in Utah depends on your residency. If you have a permanent Utah residence, but left for Texas to work for less than half the year, the money you earned in Texas is taxable in Utah. State law defines a "nonresident" as someone who had a domicile in Utah for less than 183 days during the year. If you had an abode in Texas for 183 days or more, you don't need to pay Utah taxes on money you earned in Texas because you are legally not a Utah resident. Like many other states, Utah bases its state income tax on income declared to the federal government on Internal Revenue Service Form 1040, the federal tax return. If you do not meet the minimum income threshold for filing a federal tax return, you don't need to file a Utah return, no matter how much you earned in or out of Utah. The Utah resident income tax form is called the TC 40, and you can consult the TC 40 instructions to find out details about your potential Utah taxes and if you need to file. If you are a nonresident of Utah, but earned money in Utah and also must file a federal tax return, you have to file a Utah state return as well. This generally means income you earned while working or carrying out business in the state. In that case, you will generally need to file a Utah tax form called Form TC 40B, available from the Utah State Tax Commission. You'll also use this form if you are a part-year resident, meaning you moved in or out of the state during the tax year. When preparing your Utah return, and dealing with out-of-state income, keep in mind that you may claim a credit for any income taxes you pay to another state. Without this rule, which is a common feature of most state income tax laws, workers would be subject to double taxation on income they earn outside their own state. With Texas earnings, however, it's not going to be an issue. Texas, like a few other states, has no state income tax.